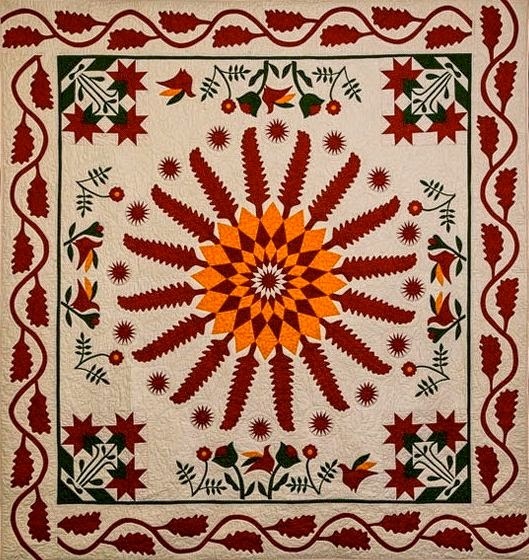 Blended Star Quilt- First prize in a raffle! I am running a raffle for our charity - SOUP - Supporters of Uganda's Poor. There are 4 prizes to be won. 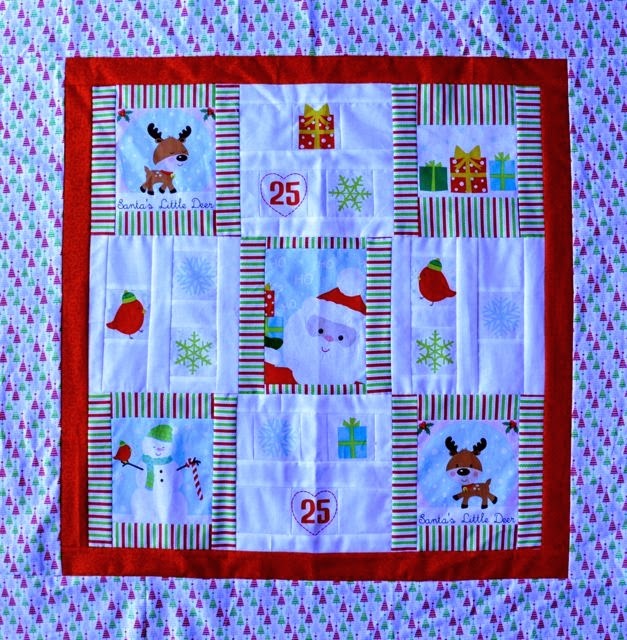 First prize is the cream quilt above. The top was made by my friend Cathy. I added the final border, then another friend quilted it for me, Elaine Pellatt from Quilting in the Vines in McLaren Vale. It is a large single bed or small double bed size. 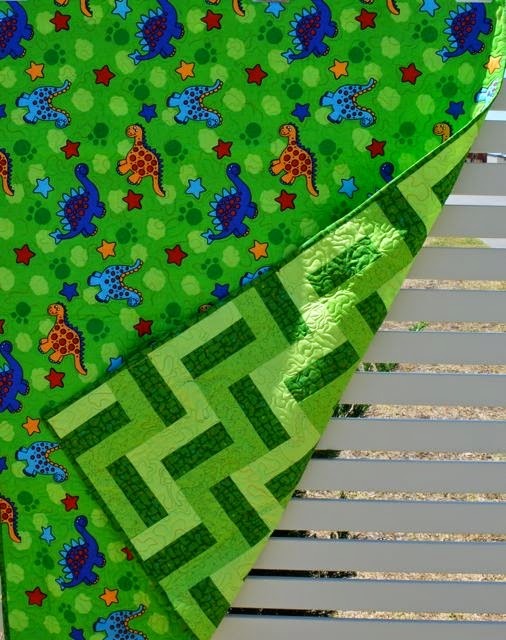 Second prize is the Dinosaur cot quilt made by another friend, Rosemary Turner! 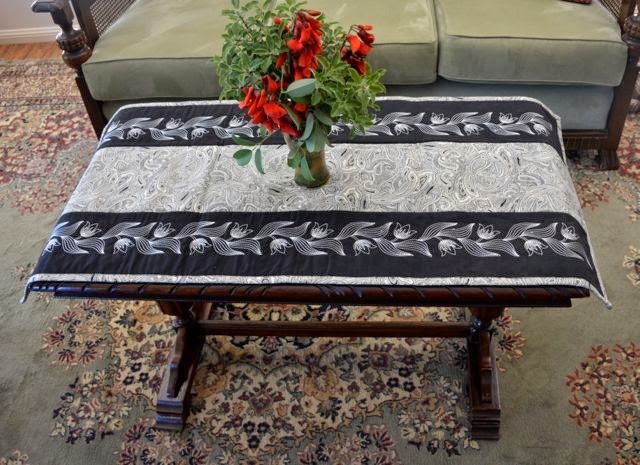 Rosemary also made the third and fourth prizes, the table-runner and the ladies bag. Please contact me if you would like to purchase some tickets. The proceeds from the raffle will go towards building a cottage for widows and orphans. I have finished another miniature to add to my sewing room wall.The strips are 1/2" wide finished. It's nice to finish something quickly but I must get back to some larger quilts that need finishing! 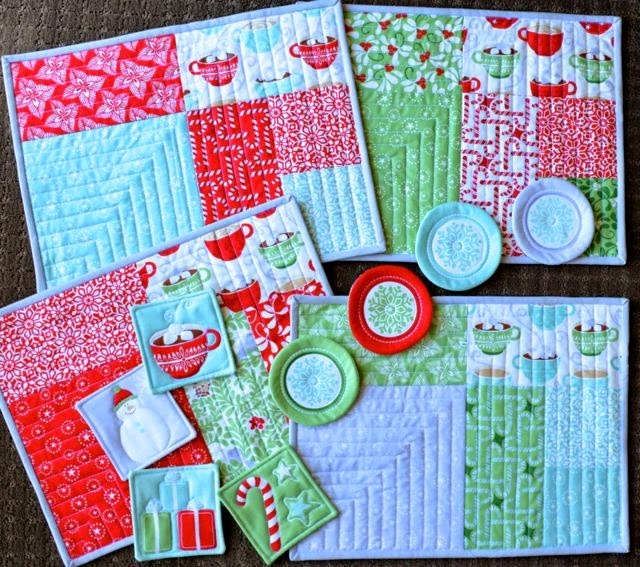 Finished my first two blocks of Gail Pan's 'A Merry Christmas Garden' blocks. I love the birds, they're so cute! I have been so busy leading up to and during our local show preparing for my stand. After it was all over I started tidying up my messy sewing room and came across this box of fabrics I once had great plans for. 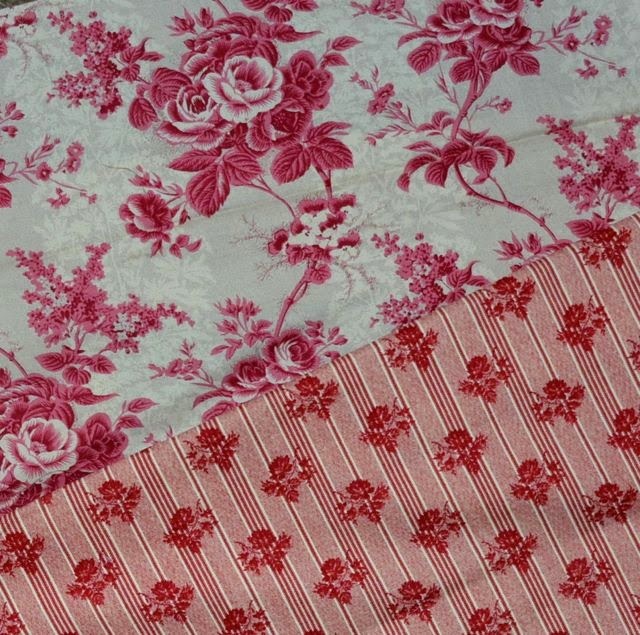 I had been collecting marone and cream fabrics to make a large quilt for my parents. 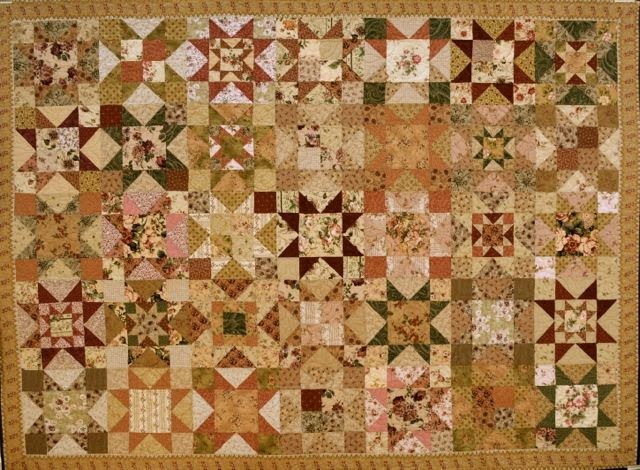 There was going to be appliqued roses and I had started on a border of 100's of half square triangles. That was probably around 15 years ago. Since then my Mum fell in love with a Lone Star I was making and I gave them that quilt instead. As I had one evening to myself I thought I would make a quick little something for me, the half-square triangles were already sewn together so this would be quick! A quick search amongst my now preferred fabrics, Reproductions, yielded a lovely little stripe and a floral just right for the centre. In an evening this little miniature was sewn, quilted and bound! Now, back to work, I have a retreat to attend in a week! I have been making some quick Christmas items. 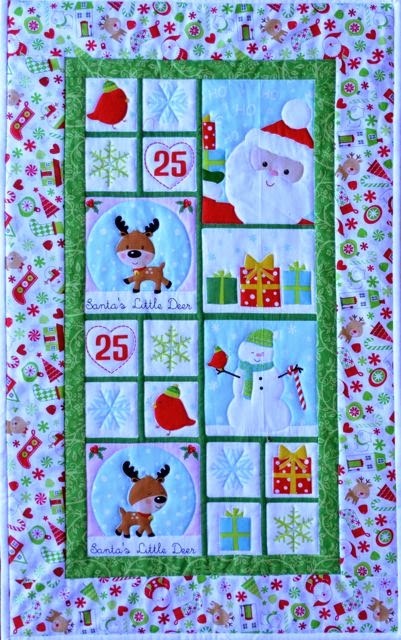 I have a little panel that is so cute with little reindeers and Santa on it. First idea was to cut it up and sew it back together again! This looks OK but was a bit too fiddly because the meausurements on panels are never regular. So then I tried just adding borders and this looks great and is much easier. Go to my Website for kits! The second panel to cut up was 'In from the cold' by Kate Spain. This made up 4 placemats and 8 coasters in nice bright Christmas colours with the addition of pale grey and aqua-green. 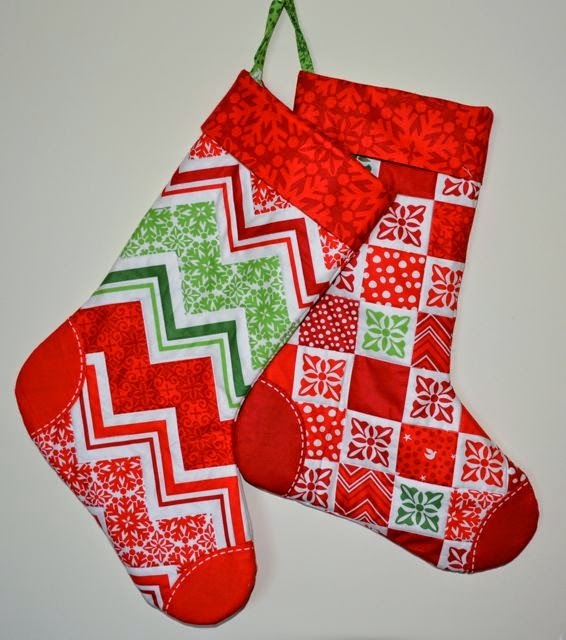 These items match nicely with last years quick Christmas project, the stockings also by Kate Spain! 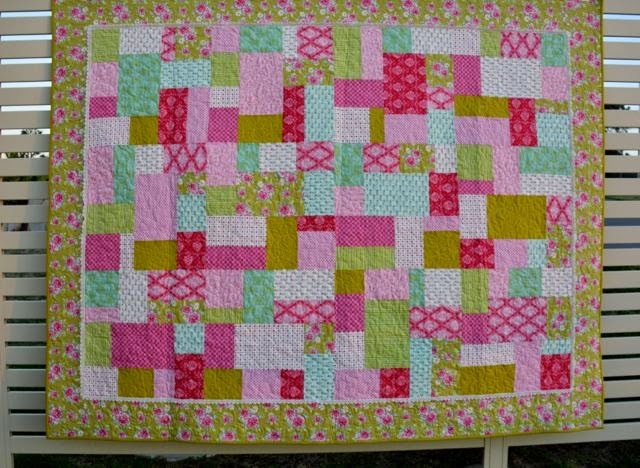 This is about the 8th quilt I have made with my Fast and Fabulous pattern. 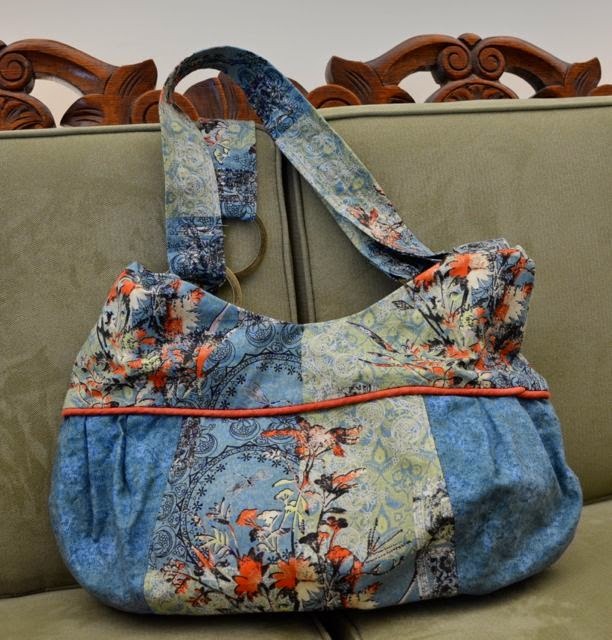 9 of the fabrics are Tilda and 3 are matching fabrics. After putting on the border I felt the top needed something, the lace around the border was perfect to separate the top and the border. I have been working on a quilt to be raffled for DEBRA, (Dystrophic Epidermolysis Bullosa Research Association), a not for profit volunteer based organisation that does not receive any direct Government funding. I have stitched butterflies similar to their logo flitting over the quilt with some flowers similar in design to the butterflies. 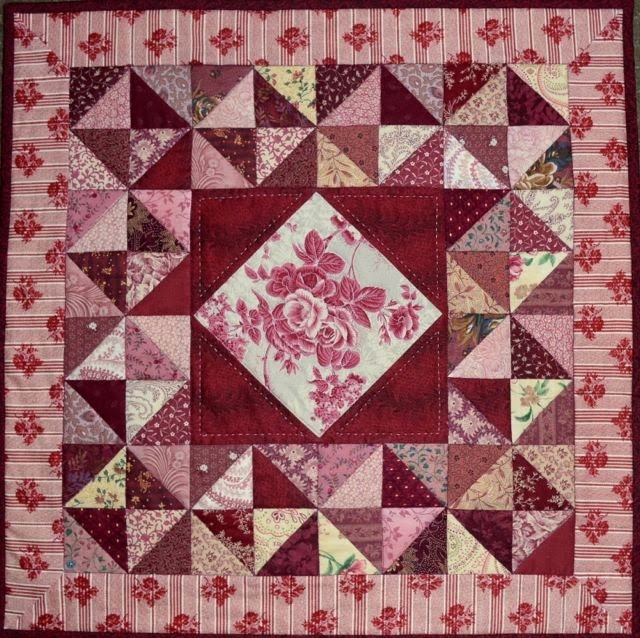 The quilt has turned out quite pretty and feminine, I think a little too much to appeal to a lot of people, so now I have decided to donate another quilt to the raffle, something with wider appeal. There is a lovely potted plant as second prize. You will find these in the waiting room at St Vincent's Hospital Toowoomba. Tickets $2.00 each. Contact me if you would like to buy a ticket! 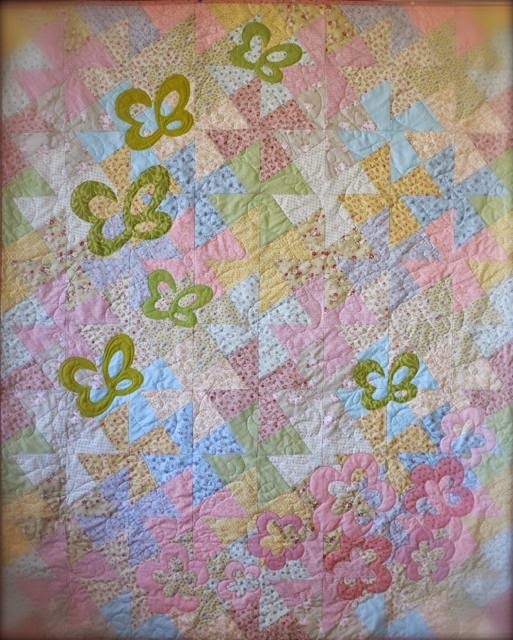 Meanwhile, the pretty butterfly quilt will be put await for a baby quilt. The Little Sister comes of Age! 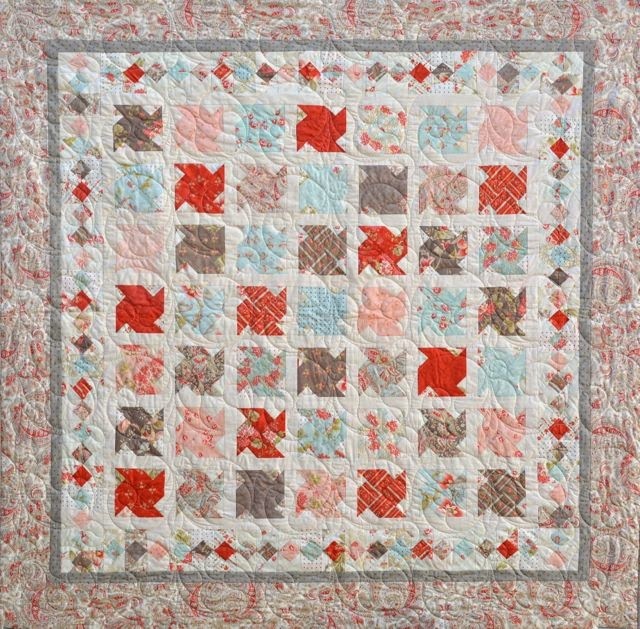 Hand appliqued, pieced and quilted by Wendy Whellum. 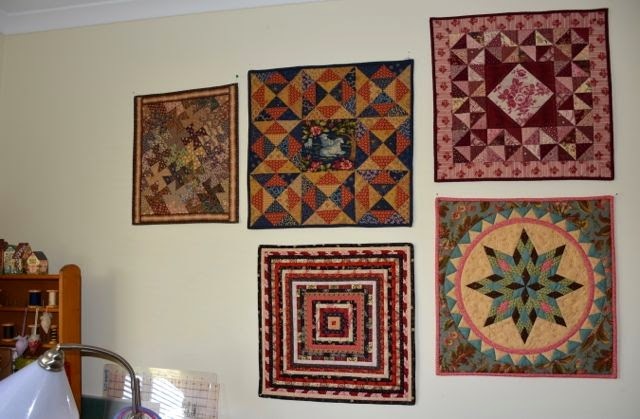 It's taken 5 years for Wendy to complete this gorgeous quilt, not that she's slow... she reproduces or designs and makes many beautiful quilts every year. She uses the 'Backbasting ' method for all her applique and travels around Australia sharing her skills. Congratulations Wendy! The awards are well deserved! 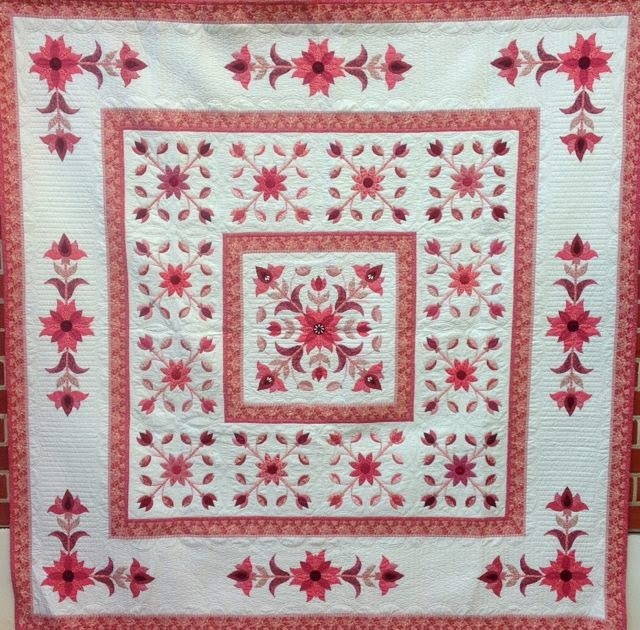 Check out Wendy's blog: Legend and Lace to read about this quilt. Wendy working on The Little Sisters quilt in front of some of her beautiful applique quilts. I forgot how much fun these little blocks were to create. I only have 12 left to do. Not sure if I have time to finish the blocks and quilt the quilt before the quilt show in September... thats the plan for now! I've finished my 60's remake quilt with it's big quilting using a lovely dark navy stripe for the binding. After a quick wash in the washing machine and overnight blocking on the floor it's finished. 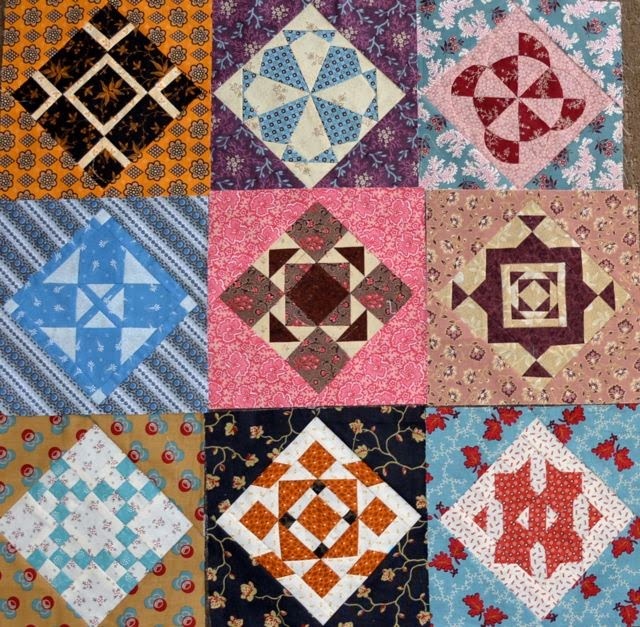 Here are some close-ups of the 60's fabrics in the blocks. 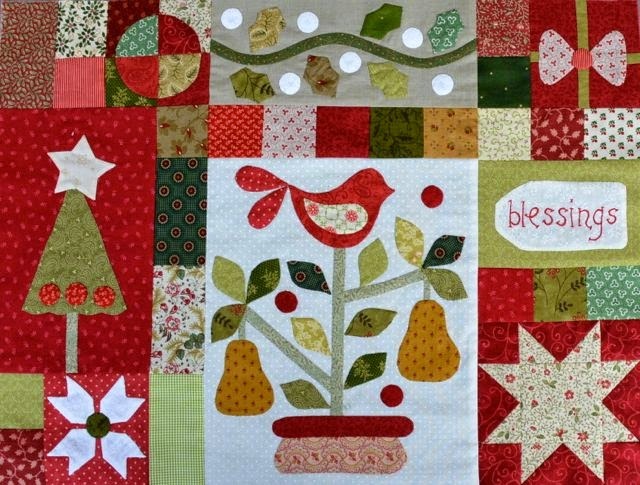 See that little stitched birdie in the middle of the orange block, that was stitched by one of my clever daughters. All three of my girls have spent time doing volunteer work in various countries. Whilst in Uganda Sarah was a little bored in the evenings so she grabbed a needle and some thread and stitched some little pictures. I decided to use this one here as the colours matched perfectly. 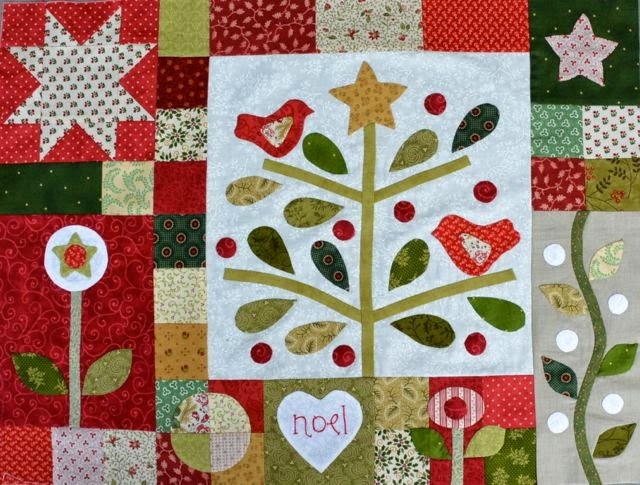 Without any lessons Sarah has also stitched a little tree that she wants to enlarge and applique as a bed quilt. Friday, May 30 to June 14th at DVVA. Here is a picture she painted for me for Mothers Day. I mustn't leave out my third daughter also very artistic, she made some beautiful quilts when she was younger and now beautifully decorates her travel journals with artworks. I can't remember when I started my Dear Jane Quilt. It must be more than 10 years ago, maybe up to 15. I have been thinking about what WIP I could finish in time for the Toowoomba Quilt Show in September. 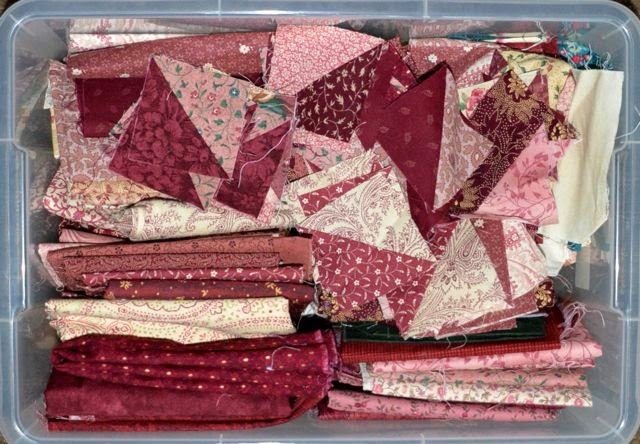 I got all the blocks out and took ages laying them out in the same order as they are in Jane's quilt so I could work out which ones I haven't made. As you can see I have added four triangles to the edges to tip the blocks on point. When they are all made I will mix them around before sewing them together. 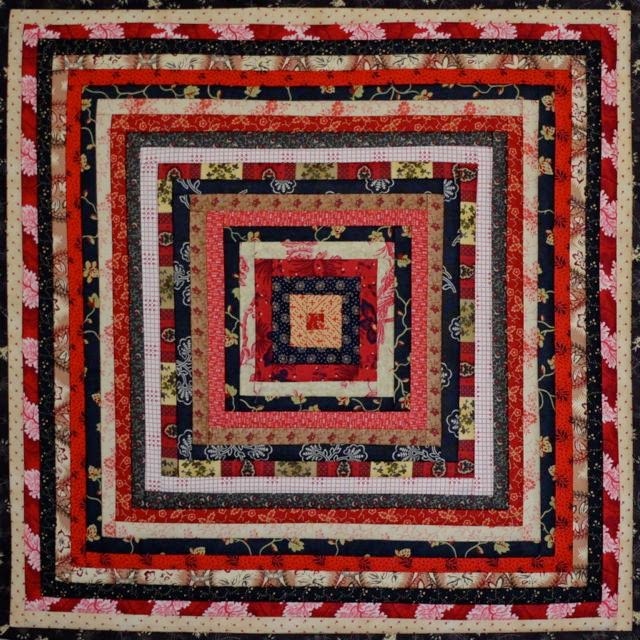 All this because I decided I didn't want to reproduce the original quilt because there are so many around now. 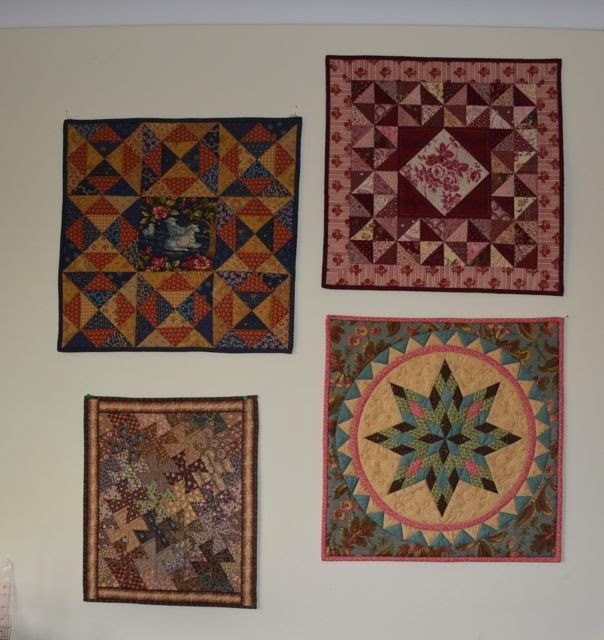 A lovely friend of mine has been designing and making quilts using the Cut Work Method. She has a lot of beautiful patterns and I am hoping to bring her to Adelaide later in the year to teach her method of sewing multiple layers of fabric together, then cutting away the layers to reveal the fabrics underneath. Adelaide girls let me know if you would be interested in this class! 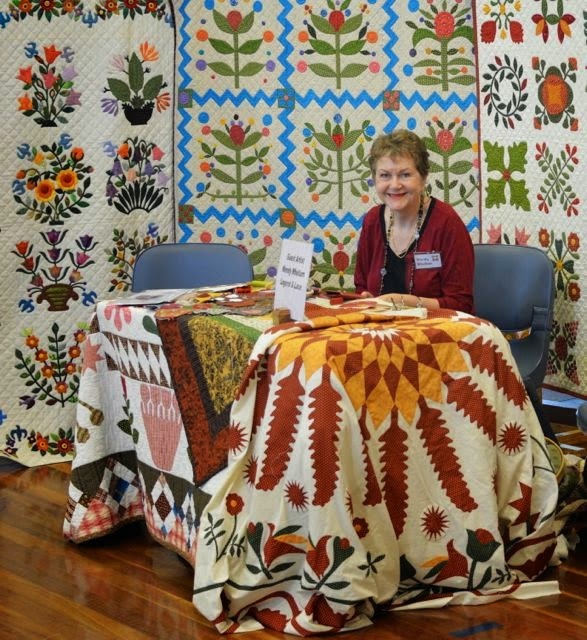 The Toowoomba Quilter's Guild run a challenge every year. This year we were given two fabrics that had to be used in an Owl wallhanging 35" X 12". The entries were amazing and all so different. There are some very talented ladies in this group. I designed a Christmas wallhanging with cute owls sitting in a Christmas Tree. The two fabrics with the teardrops on them were the 'challenge' fabrics. I didn't win but was happy with my effort! I will write this up as a pattern ready for Christmas. 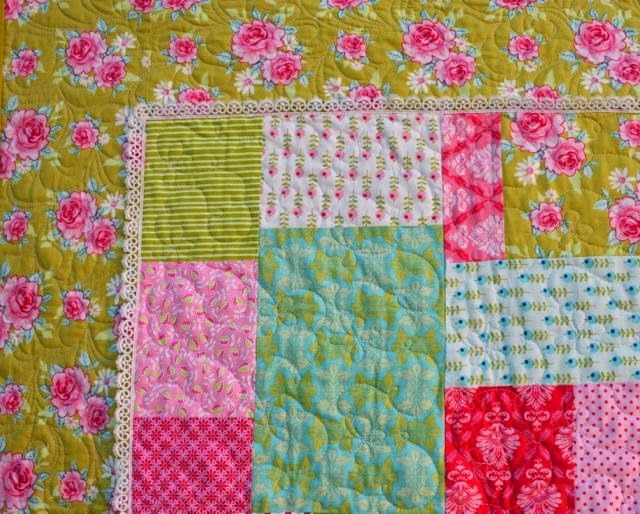 I have been looking around at sites that show 'Big' Stitch Hand-Quilting to see if it would suit my 60's quilt. There is a lot of difference in the size of the stitches that people use. 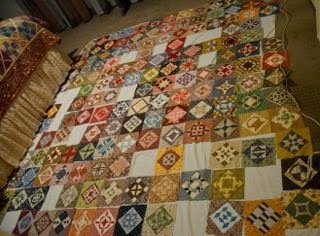 Most of the quilting I saw would be better described as 'Medium' stitich quilting. I've decided to do real big, 'Big' stitch quilting. I found a long, sharp strong needle and a ball of some perle cotton thread. I am making my stitches 'Big' and the quilting is moving along quickly. The main thing to do is keep the stitches as even as possible. I should be able to finish this one off quickly and then get back to a couple of quilts I am trying to 'Small' stitch hand -quilt!